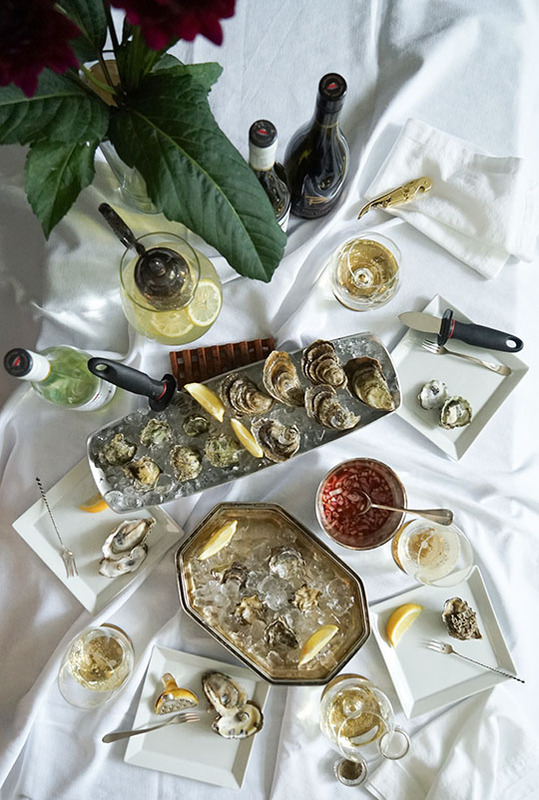 Oysters are one of my favorite delicacies. They are one of those amazing foods that feel both simple and luxurious at the same time and are an exciting treat on the beach or in a sophisticated restaurant. 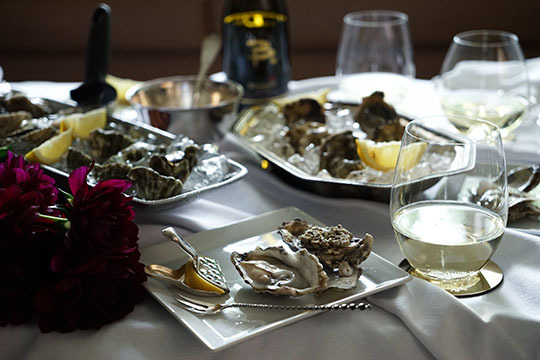 I love nestling up to the bar at Balthazar for a few freshly shucked oysters and a glass of wine, but even more, I love sucking my own at home with a few bottles of wine. 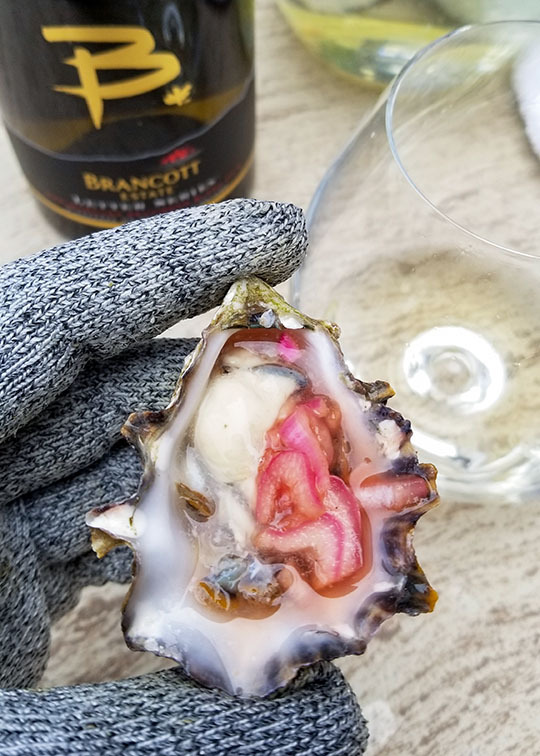 Brancott Estate made my dreams come true when they sent me a case of their Sauvignon Blanc and an oyster shucking kit complete with level 5 cut-resistant gloves and a shucking knife. Included was a bottle of their classic Marlborough Sauvignon Blanc, The Letter Series 'B' Sauvignon Blanc, and the Flight Song Sauvignon Blanc. Needless to say, I immediately went to the store and picked up 18 oysters and my oyster party was born. 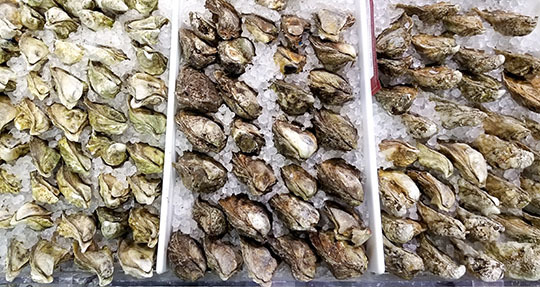 I love briny oysters, so I picked up the briniest they had: 6 Barron Point, 6 Barcats, and 6 Kumamotos. I made my own Mignonette Sauce with red wine vinegar, shallots, and freshly cracked pepper, and served it along side these beautiful bivalves. I opened the three bottles of wine, and served a glass of each for everyone, and we dug in. 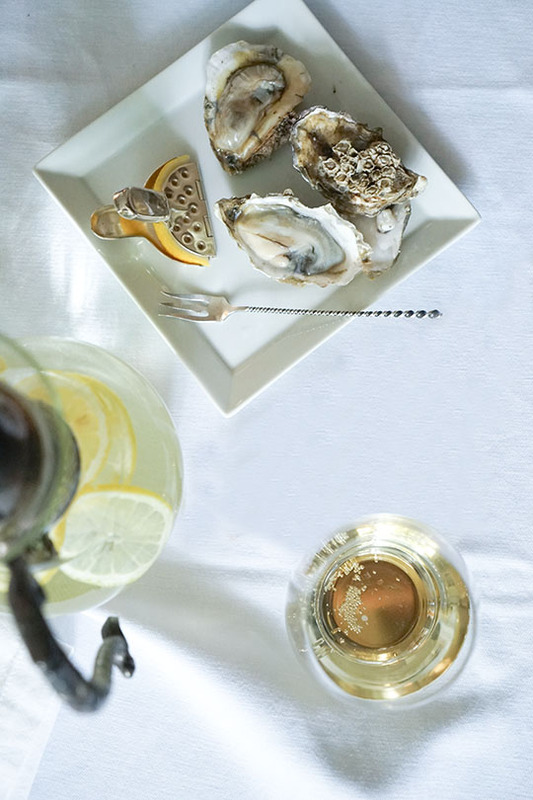 First of all, Sauvignon Blanc and oysters is a perfect pairing with oysters, and are especially delicious with briny oysters. I've never done a mix and match pairing with three different wines and different styles of oysters, but I loved it, and so did my guests. 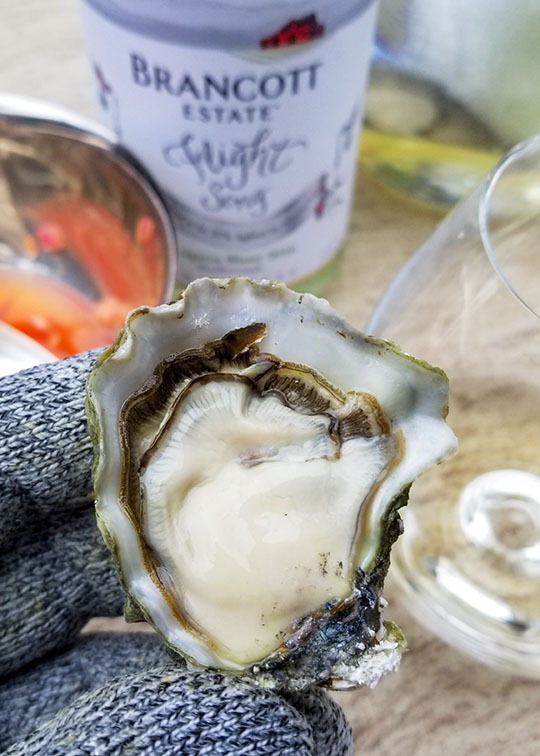 It was really interesting how the flavors of each oyster changed with each wine, and how each oyster kind of naturally gravitated towards its best wine pairing. I really loved the Barcats with the Flight Song, and the Barron Points with the Letter Series, and the flagship Sauvignon Blanc with...everything. 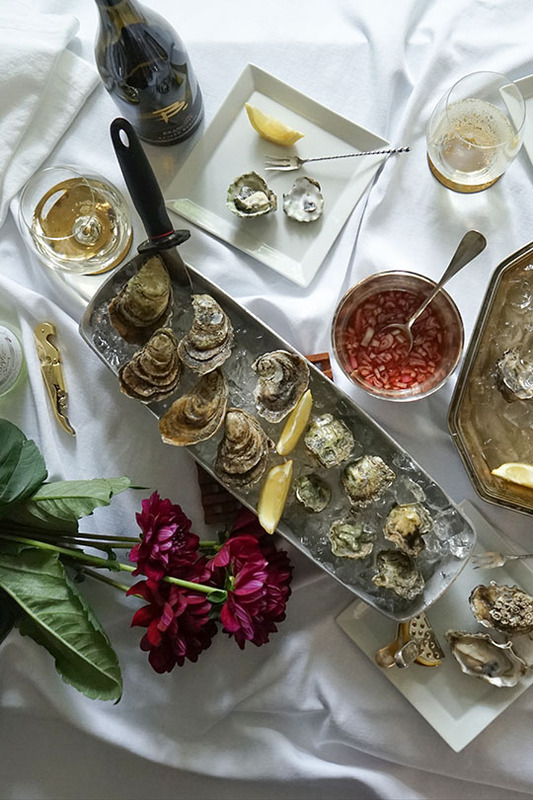 Although I styled this shoot inside, I recommend shucking outside where spills and flying oyster shells won't be an issue. 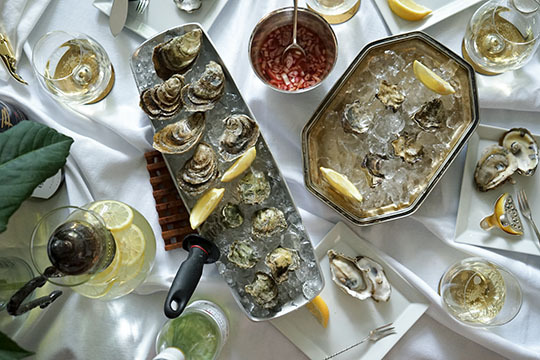 Do yourself a favor and pick up those level 5 protective gloves and some dedicated dishtowels; those oyster knives are sharp, slip easily, and no one wants to lose a thumb. 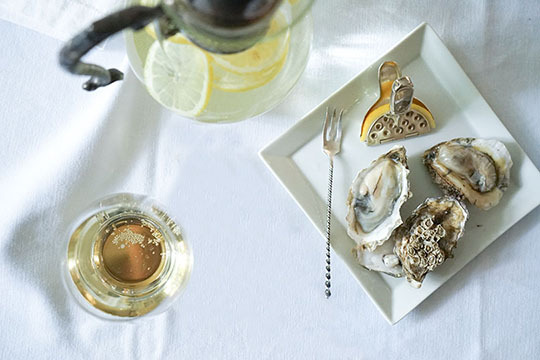 There are still a few months left to summer, which means lots of time to have your own Oyster & Sauvignon party. I think I have a new summertime tradition in the making, this party may need to become an annual celebration! 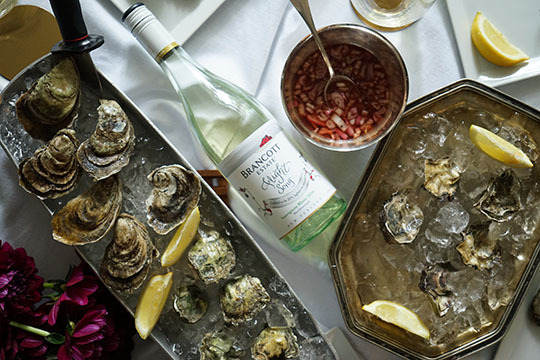 Brancott Estate Marlborough Sauvignon Blanc: The Marlborough Sauvignon Blanc is the flagship wine of Brancott Estate, and is an exquisite Sauvignon Blanc. This wine is sweet and crisp with flavors of grapefruit, citrus, pear, tropical fruit, with a slight vegetal note and an underlying saltiness (my favorite). You can never go wrong with this wine. Never. Brancott Estate Letter Series 'B' Sauvignon Blanc: The Letter Series 'B' is a great Sauvignon Blanc for Chardonnay lovers. It is a bit more round on the palate due to its time on oak, yet has bright flavors of grapefruit, guava, passion fruit, white peaches, and a crisp vegetal note signature to all Brancott Estate Sauvignon Blancs. 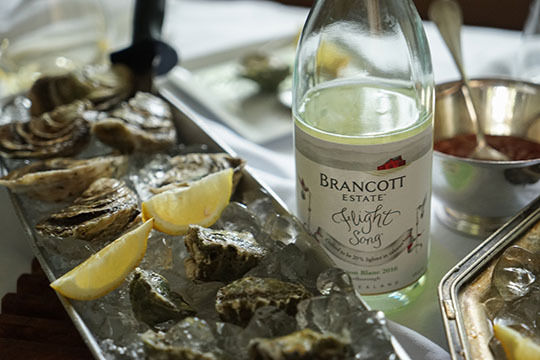 Brancott Estate Flight Song Sauvignon Blanc: The Flight Song is the lightest of the three wines, in both alcohol level and calories. It is light and crisp with flavors of grapefruit, lemon, and tropical fruit with nice minerality. I'm such a big fan of this wine - a glass of cold Flight Song is perfection on a hot summer day. 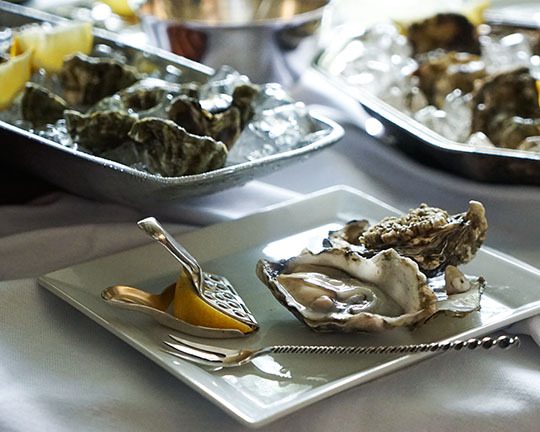 Mix in a bowl and serve with freshly shucked oysters.